Our 500 foot yellow 22 AWG (American Wire Gauge) 4 conductor stranded security/alarm wire comes in easy-to-use coilpacks. 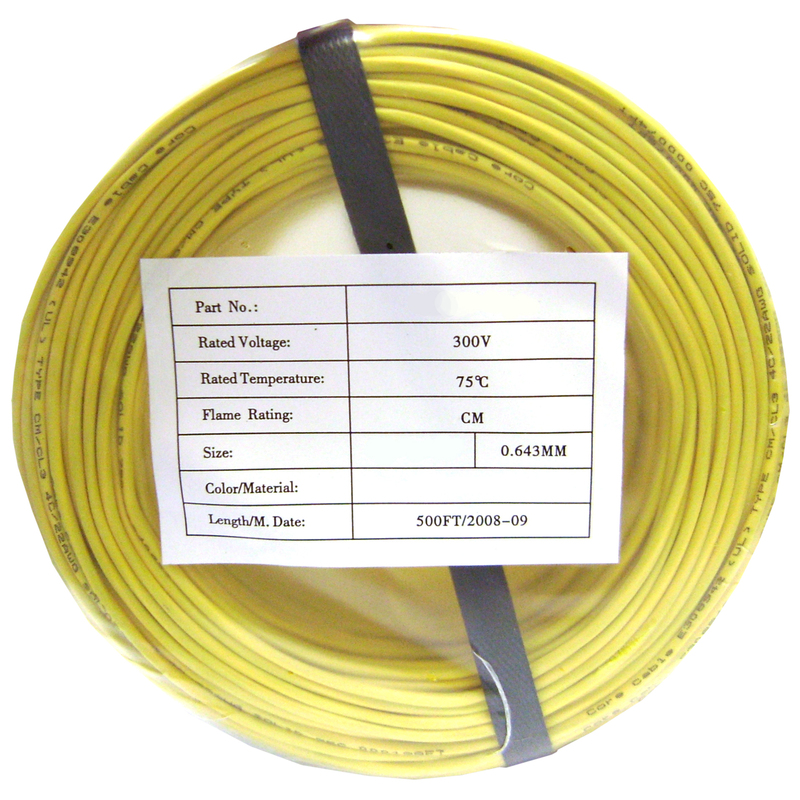 This wire is CMR/ riser and in-wall rated; it is not intended for plenum situations. This security wire is designed for use in security/alarm systems. It is typically used for connecting motion sensors, keypads, magnetic contacts, glass breaks (acoustic detectors), smoke detectors, communicators, sounders/strobes, entry management and control panels in such systems. When wiring a system please be sure to consult the manufacturers' recommendations for wire conductors, gauge and expected resistance.